Advanced aircraft maneuver simulation and visualization. 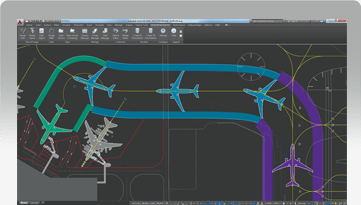 Be assured of accuracy, reliability and efficiency in all 2D and 3D apron, taxiway and runway movement evaluations with AviPLAN Turn Pro, the ultimate CAD-based software for aircraft and ground service equipment turn and swept path analysis. 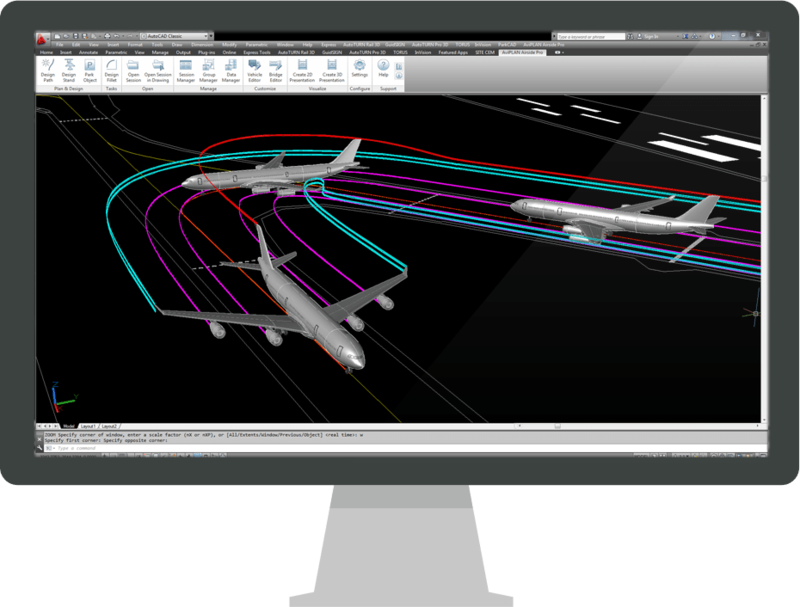 Overview INTRODUCING AVIPLAN AviPLAN Turn Pro is the premier CAD software for evaluating aircraft ground maneuvers in 2D and 3D. To ensure that space and clearance requirements are met during the design of airside facilities, airport engineers and planners can review clearances, swept paths jet blast impact surfaces and more. AviPLAN Turn Pro is the premier CAD software for evaluating aircraft ground maneuvers in 2D and 3D. To ensure that space and clearance requirements are met during the design of airside facilities, airport engineers and planners can review clearances, swept paths jet blast impact surfaces and more.